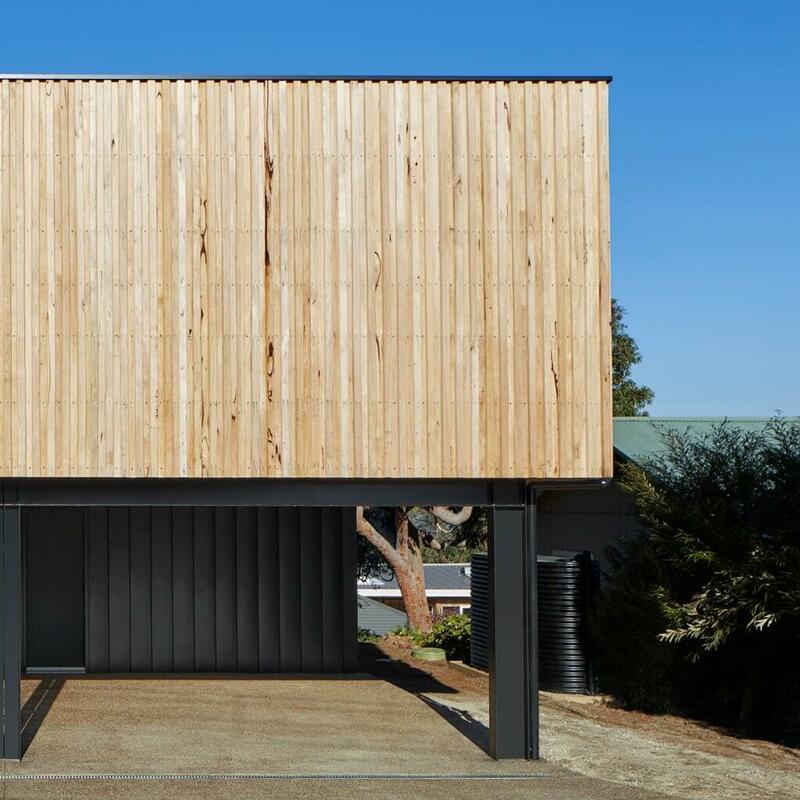 Your choice of cladding can play a vital role in both the look and efficiency of your future prefab home. Cladding – the outer layer or skin of a building – serves the primary purpose of protecting against weather but its effects reach much further. From thermal and sound insulation to improving your modular home’s environmental performance and aesthetic appeal, cladding plays a number of roles and can notably affect a home’s property value. Choosing the right material is extremely important and should be based on a careful assessment of your home’s position, orientation and climate as well as your energy and aesthetic goals. 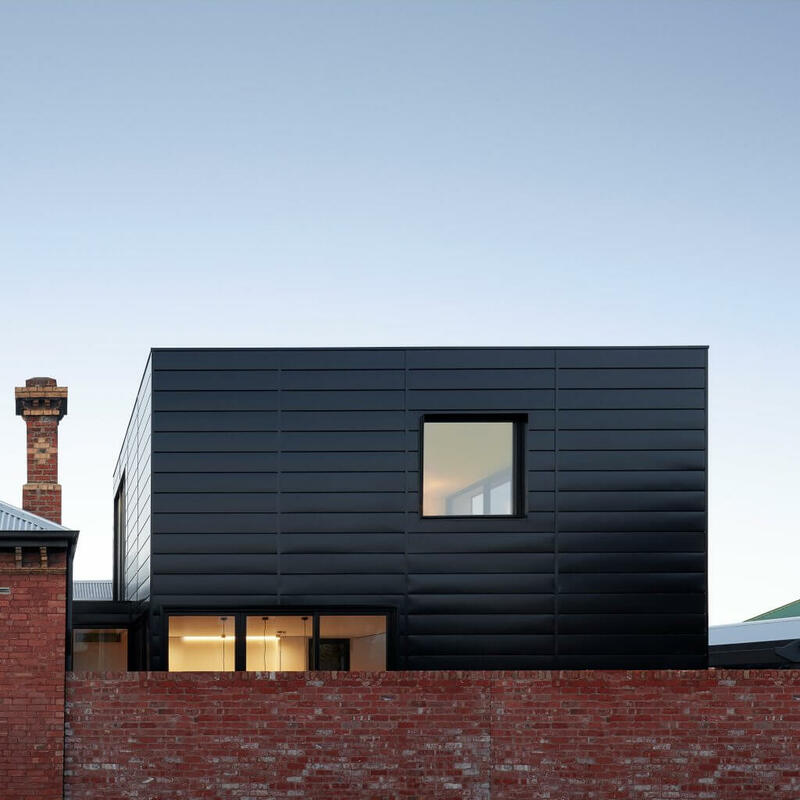 A pre-painted steel product, Colorbond is a durable and versatile material for both commercial and residential projects. Colorbond Steel is renowned for its longevity and excellent performance as well as its great thermal efficiency. Its relatively low thermal mass enables it to cool down quickly in summer while retaining heat in winter when properly paired with insulation. 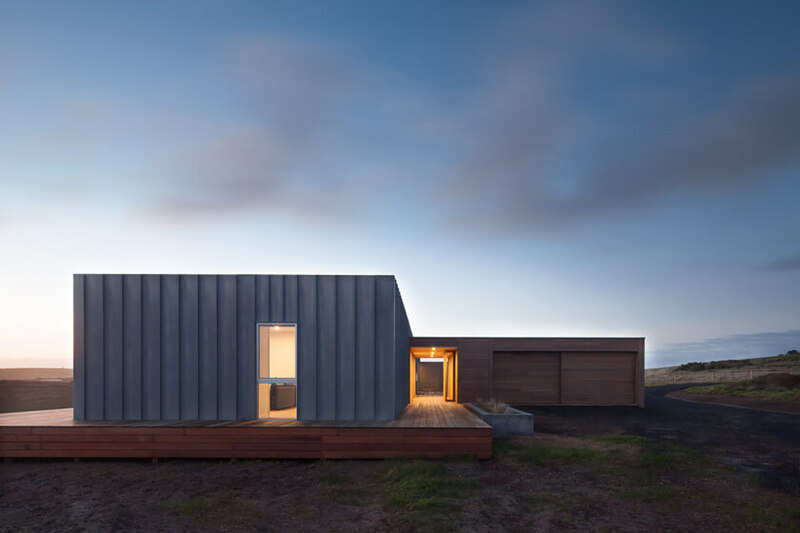 In this way, Colorbond Steel is cost effective, reducing your prefabricated home’s need for artificial temperature control and helping create more eco friendly homes. Reliably weather-tight and secure, Colorbond is termite-resistant and non-combustible. Colorbond is also durable, displaying great resistance to chipping, flaking and blistering thanks to its Zincalume steel base and baked-on paint coating. 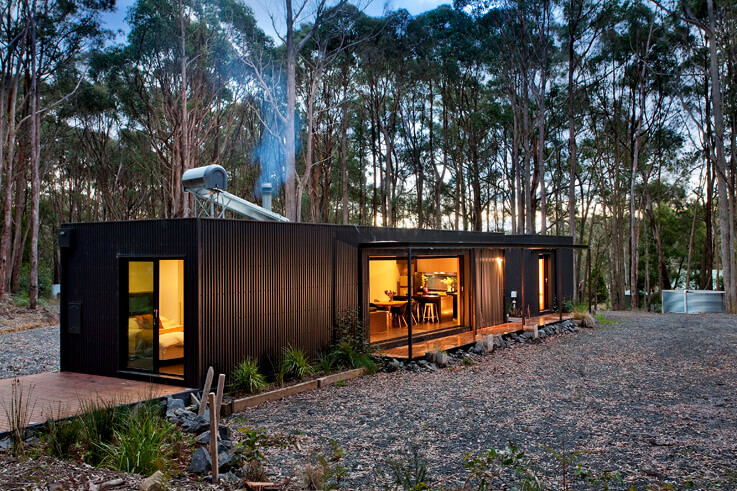 However, it should be noted that location is very important when choosing to use Colorbond Steel. Despite its protective coating, it is still vulnerable to rust in certain circumstances. In coastal areas – where the air has a higher salt content – we suggest you consider Colorbond Ultra or Colorbond Stainless which are both higher grades of steel and are more resistant to corrosion. These higher graded varieties do cost more and are only available in a limited range of colours but are necessary if you are looking to use steel as cladding in marine locations. Colorbond Steel is a popular choice for industrial and commercial projects thanks to its striking aesthetic quality. It is available in a wide range of colours that have been developed to reflect Australia’s natural landscape. There are 22 standard colours to choose from as well as 6 metallic colours, all of which can endow a building with a clean, crisp and sophisticated look. Colorbond is also available in a number of finishes, shapes and sizes, making it a flexible solution for any modular design project. It is not hard to fall in love with zinc thanks to its amazing environmental properties, its unique and luxurious aesthetic appeal and its flexible, durable and efficient performance. 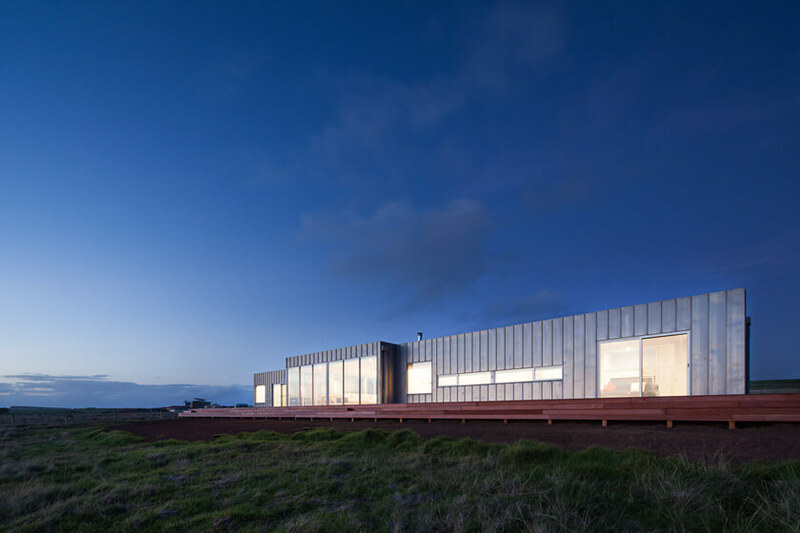 As one of the best performing materials, zinc makes for a very eco-efficient cladding choice that can radically reduce a building’s energy consumption. Furthermore, zinc is safe to use in areas of vegetation as it does not compromise plant growth and its rainwater runoff is clean (unlike other metals such as copper). Zinc impresses with its extraordinary lifespan and excellent durability. In most climates, zinc can perform for over 60 years making it an extremely worthwhile investment. One of the keys to its longevity is its ability to naturally protect itself against corrosive conditions. Zinc is a fungistat, preventing the growth of mould and fungus and is also non-ferrous, preventing rust and corrosion. When exposed to moisture and carbon dioxide, a layer of zinc carbonate forms protectively on its surface. Thus “healing” itself. As it continually forms this protective layer (known as patina), scratches and other imperfections virtually disappear over time. Zinc comes in a variety of shapes and sizes, is highly malleable and can be used flexibly for curved and angular designs. The patina that forms protectively on the zinc not only extends its lifespan but adds a visual quality that is unique from project to project. The beautiful bluish tinge created pairs extremely well with both traditional and modern home designs. Silvertop Ash timber – sometimes referred to as Coastal Ash – originates in the southern and central coast of New South Wales, eastern parts of Victoria and north-eastern Tasmania. Employing lightweight timbers in construction can improve a building’s energy efficiency thanks to the material’s low thermal conductivity. Silvertop Ash’s natural thermal properties can support a building’s insulation as the timber itself is naturally insulating – microscopic air pockets throughout the timber form a kind of barrier to hot and cold temperatures – creating a far more sustainable house. 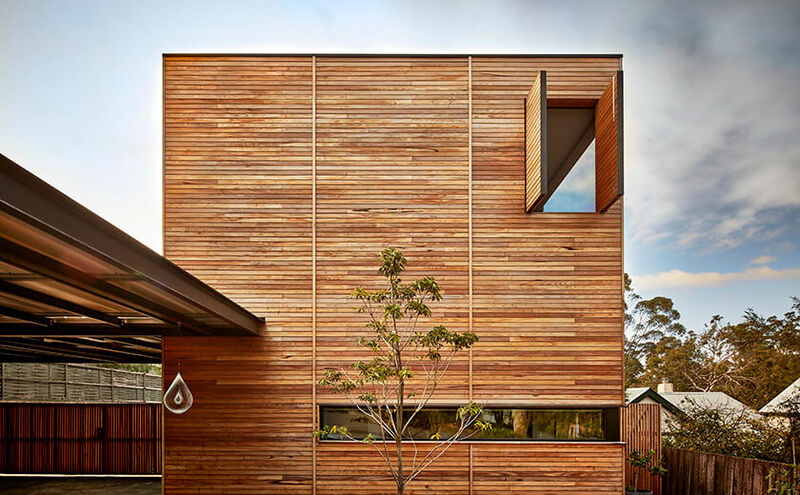 Silvertop Ash timber is a moderately durable cladding material which is quite flexible and lightweight when compared with other eucalyptus timbers such as ironbark and gum. It’s very easy to work with and is great for screwing and nailing. Silvertop Ash timber does not experience tannin leaching or staining – which can not only be unsightly but can inhibit a wood’s ability to evenly absorb coatings – and accepts coatings and paints extremely well. It is also available in a variety of lengths, providing flexibility of design. Furthermore, Silvertop Ash is a great choice when building in bushfire-prone areas because of its excellent fire resistance. It is one of only seven hardwoods deemed suitable by the Victorian Building Authority for employment in bushfire-prone areas. It’s important to note though that Silvertop Ash can be sensitive to termites and can display surface splitting when not handled correctly. One of the main reasons we love to use Silvertop Ash for our modular designs is its organic aesthetic appeal. Decorated with natural growth rings, gum veins and ambrosia, this timber lends a very unique, natural and pleasing look to any modular design project – whether commercial, industrial or residential. Its colour palette ranges from pale to medium shades of brown, all with plenty of character to offer.